As a part of the Scottsdale community since 1974, Ranch Realty understands how to successfully navigate trends in Scottsdale real estate. Ranch Realty is a full-service real estate agency that can help you find the Scottsdale residence of your dreams among the homes and condos currently for sale, or handle your tenant screenings, rental administration, and residential property management. 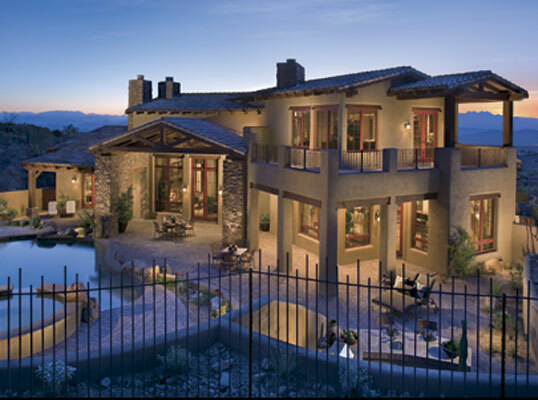 Whether you want to live in Scottsdale Shadows, McDowell Mountain Ranch, Mirabel Village, Candlewood, Kierland, or Corriente, Ranch Realty will be your trusted guide to the best condos and homes for sale in the Scottsdale area. We can tell you everything you need to know about the local amenities…including schools, shopping, and entertainment. Ranch Realty understands that not everyone is looking to buy a home or condo. We provide our clients with the online tools to virtually visit both unfurnished homes for rent and furnished rental properties in Scottsdale. Once you find a few promising properties, we’ll arrange to visit them in person at a time that’s most convenient for your busy schedule. Some of Ranch Realty’s real estate agents serve as home property managers for investors and owners of Scottsdale rentals. Whether you’re renting out a single family home in Scottsdale Highland Estates, a Sovanna condominium at the Scottsdale Country Club, or a townhome in Casa Granada East, Ranch Realty will provide all the services you need for trouble-free property management. We’ll perform thorough screenings of prospective renters, including credit checks and background checks. Ranch Realty takes care of upkeep and property maintenance, including repairs. We’ll inspect the property before and after it’s rented, making sure we fix anything that’s not in working order. We also help you manage the leasing process, promptly collecting security deposits and rent from tenants on your behalf. With our convenient online portal for both property owners and renters, Ranch Realty keeps you connected to accurate, up-to-date financial and maintenance records for all your properties. From Pinnacle Peak to Fashion Square, Troon North to Old Town Scottsdale, no one knows the Scottsdale real estate market better than the experienced real estate agents at Ranch Realty. With nearly five decades in Scottsdale realty, Ranch Realty’s skilled realtors are well-versed in every aspect of the market, from buying and selling homes to managing rentals. We are proud to be part of the fabric of Scottsdale, a vibrant Arizona town with a history stretching all the way back to the original Hohokam habitation in 300 BC. The Pima and Maricopa peoples wove their threads into Scottsdale history long before the coming of Army chaplain Winfield Scott in the late 19th century. From the cotton farming boom of the early 20th century and the influence of Frank Lloyd Wright at Taliesin West from the late 1930s, to the coming of the Thunderbird II Airfield during World War II and the establishment of the first Motorola plant in 1950, Scottsdale has seen many changes, but has remained an integral part of Arizona’s Valley of the Sun. Ranch Realty continues to serve Scottsdale and welcomes the opportunity to satisfy your real estate needs. Just call us anytime at 480-991-4000 or send us a message at info@ranchrealty.com. We can’t wait to help you!